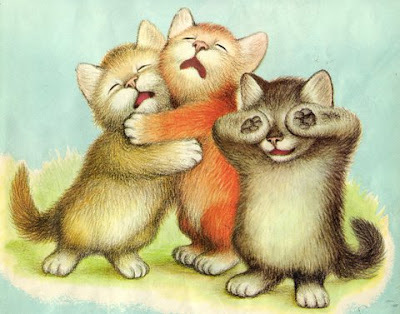 The three little kittens, they lost their mittens, and they began to cry, "Oh Mother dear, we sadly fear our mittens we have lost!" The second little pig built himself a house of sticks. 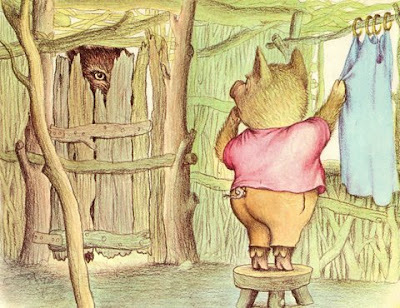 He was just putting the finishing touches to the window curtains when the big bad wolf knocked at the door and said, "Little pig, little pig, let me come in!" "Not by the hair on my chinny chin chin!" 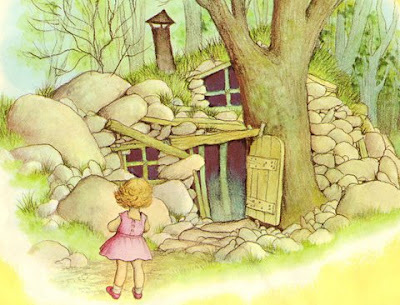 One day a little girl, who was called Goldilocks because of her golden curls, went for a walk in the forest. And she came to the house of the three bears. Knock knock knock at the door went Goldilocks. But of course there was no answer. 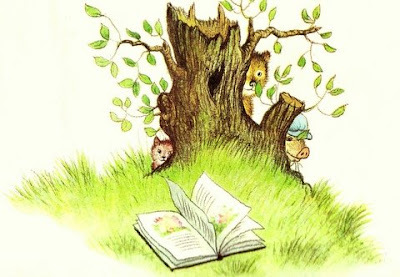 This is the only picture book I have from my own childhood (the rest were "mistakenly" donated to the Goodwill. I do have all my middle-grade books, at least). I like the three sets of three and particularly like the bears' house in this one (glad you chose that image to share!). Hi there, I blogged about your blog today on my post on books for new readers. Love reading about your finds. All the best! anamaria: soooo sad... ugh, that just breaks my heart, but trust someone else found them out there to love! I love the illustrations in these books. Just beautiful! Are there any scare illustrations? I mean, does it show the wolf actually eating those two pigs? absolutely not... no gore just heavy words. 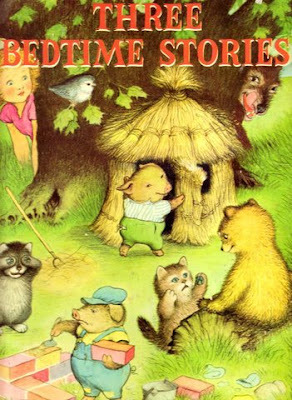 I love this old book from my childhood! My grandmother had it on the shelf for us to look at when we would come for a visit. Thanks for sharing!